The celebrated Malayali actress will next be seen in Mohanlal-starrer ‘Lucifer’, which is out on March 28. 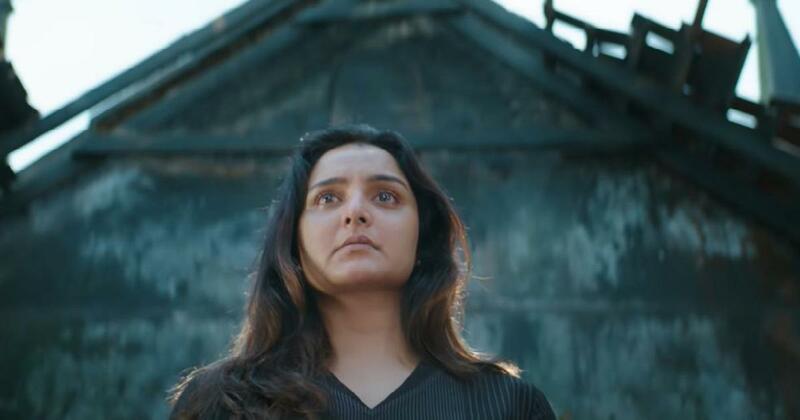 There is something about Manju Warrier that inspires loyalty in the Malayali cinema goer. 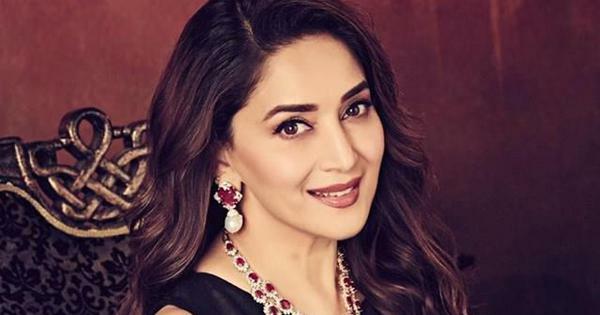 She has spent more time away from the industry than in it since she made her acting debut in 1995, but her superstar status remains unchallenged. Warrier’s first role was Sakshyam in 1995, when she was 17 years old. Over the next three years, she appeared in 20 productions, among them Ee Puzhayum Kadannu (1996), for which she won the Kerala State Film Award for Best Actress, the hit Aaraam Thampuran (1997), and Kannezhuthi Pottum Thottu (1999), which got her a special jury mention at the National Film Awards. At the peak of her career, when she was 20, Warrier took a sabbatical after marrying actor Dileep. Warrier made a comeback 15 years later with Rosshan Andrews’s How Old Are You (2014), as a woman in her thirties who tries to reclaim her life. The film was one of the biggest hits of that year. Since then, scripts have been written with Warrier in mind. She has played a range of compelling characters, including in Jo and the Boy (2015), Udaharanam Sujatha (2017) and C/o Saira Bano (2017). Critics have often analysed Warrier’s appeal. Is it her homely vibe that has won her an army of female fans? Is it the intrigue around her marriage to Dileep, whom she divorced in 2015? Or the fact that despite her immense success in the 1990s, she chose to walk away from it all and return to stardom? Warrier will next be seen in the Malayalam political drama Lucifer, which also stars Mohanlal, Vivek Oberoi, Tovino Thomas and Sachin Khedekar. The March 28 release marks the directorial debut of actor Prithviraj Sukumaran. The film sees Warrier in yet another character-driven role as Priyadarshini Ramdas, a woman who lives by her strong beliefs. Warrier spoke to Scroll.in about Lucifer and her approach towards acting. Prithviraj Sukumaran is one of Malayalam cinema’s most well-known actors. What was he like as a first-time director? I’ve never worked with Prithviraj before in any film. So I had no idea what he was like – as an actor or as a person. But he has this reputation as being very meticulous and involved in his films. When I heard he was going to direct a film, I was very happy. Then I got offered a story character. It was a pleasant surprise that I was part of a film. Once the shooting started, the feeling that Prithviraj was directing the film lasted a day. You forget that he’s even an actor. You feel at ease because you know that he knows what he’s doing. He knows what he wants. Prithviraj has clarity and gives you clear direction as a director. Did it make you feel you’d want to be a director as well some day? Oh god, no! I would never direct a film. I’ve always felt I’m nowhere near the conviction that one needs for that level of filmmaking. How has your experience been since you came back to the industry in 2014 with ‘How Old Are You’? Well, technologically, a lot has changed. Films are all about being digital and shot in high definition. I’ve never been big on technology so I just know and understand the basics. But everything else is the same – the shooting atmosphere, teams, people, sets. I’ve been very fortunate to work with good people in the nineties and when I came back in 2014. How Old Are You (2014). What are you like as an actor? I’m a director’s actor. I try my best to deliver what the director wants. I go by the director’s script. Then there are some directors who give you the freedom to mould a role in the way you perceive it. I always stick to what a director tells me. What roles do you get offered and how do you pick them? I’ve been blessed to be offered a variety of roles since How Old Are You. I get film offers all the time. When a new director narrates the script to me, I just think about if I would want to go to the theatre to watch that film. That is how I decide which roles I say yes to. It really is that simple. Your last two releases in 2018 were ‘Aami’, in which you played the writer and poet Kamala Das, and ‘Odiyan’. Both these films had strong female characters. How do you prepare for the roles? I don’t do homework or research and prepare for a role. I just follow the director’s lead. For Aami, though, the team did a lot of research for me. For example, how she spoke or her expressions. There’s no specific conscious process that I follow. I try my best to deliver. What matters to you: a film’s commercial success or winning an award for your performance? What matters to me most is the audience’s response to the film and to my role in it. I always hope I deliver to people’s expectations. Awards are a great encouragement. These days, most of the awards are decided by the audience vote. So it is sort of inter-related in that the audience still plays the biggest role. You’ve become something of a cultural icon and were a part of the Kerala Literature Festival in Kozhikode in 2017. Is this a conscious reinvention? I’ve never planned anything in my life. Things have happened in a flow. I think I remain a bit detached in a way. But when I do talk at literary fests, I always think of where I’m going, what I’m going to say, how I’m going to say it, who is the audience. It’s not a conscious reinvention, just good things coming my way. I’m going to be making my debut in Tamil films. I’m doing a film opposite Dhanush called Asuran and Vetri Maaran is directing it. It should be ready for a release by the end of the year.